It’s hard being a small business owner, especially micro businesses. The official definition of an SME is any business with fewer than 250 employees. There were 5.2 million SMEs in the UK in 2014, which was over 99% of all business. Micro-businesses are a subset of these and are businesses with 0-9 employees. SME’s therefore, make up the bulk of and are the heartbeat of the U.K. economy. That’s not least because, in this Internet age, it’s easier than ever to start a business, to promote that business and, in many ways, to compete with bigger more bloated competitors. But, it isn’t all roses and plain sailing. Many SME’s are in this ‘micro business’ category and, with that, comes all manner of stresses and challenges. Often, setting up a business is the result of a long-held ambition. In other cases, it’s due to a necessity following redundancy or some other circumstance. Unfortunately, not all business owners are budding Richard Bransons. And, redundancy funds, if that’s what you used to set up, won’t last forever if things don’t go smoothly. Meanwhile, the mortgage needs to be paid. If you’ve already set up your small business, you’re often the person that executes, that’s to say that you deliver the service. This leaves less time for other things such as promotion, sales, financial matters and so on. So, it’s a constant act of juggling and spinning plates. Don’t get me wrong, the rewards of growth can be good and sometimes more rewarding than employment. But, there are ups and downs and you need to be ready for these. So, to help you ride the roller coaster, we’ve put together our top tips for SME survival and owner sanity. This is possibly the hardest one to handle. There are constant challenges. Just because you set up your own business with the quality of service you undoubtedly deliver, doesn’t mean that customers won’t be unreasonable. They will still be demanding and expect your undivided attention. They want things yesterday. They will squeeze your margins. They may pay you eventually as opposed to on time. With the above in mind, you need to take a deep breath and recognise that no two days are the same. What is a trauma today may well transform into a blessing tomorrow. You will win clients and lose clients. You will have your hopes dashed and have euphoric days. Try to ride the waves and maintain your balance. Try to smooth out the highs and lows. Celebrate victories by all means but run your small business as a business and try to dislocate your personal emotions from business situations. If you do this, you’ll make better decisions and be more prepared to grow. That was one of the hardest things for me to learn after 16 years in senior corporate management. And, it’s probably one of the most important. In corporate life, I had a big team and was surrounded by infrastructure and external support. Whilst this certainly didn’t remove stress, it helped share the load and alleviate some of the pressures. When you run your own business, who can you turn to when you start? In time, hopefully, you will build a team. However, in the early days, there’s often just you. Even your first recruit may be someone to simply take the pressure off such as an admin resource rather than a management colleague. They may not be at the level you need to be able to offload. Therefore, look around to see where you can gain support. A good accountant is a must. You need accurate financial information and sound business advice. That’s a good place to start. Can you find a mentor? If you know someone that has either been in your shoes or who has been successful elsewhere, seeking their advice makes sense. Check out what support is available in terms of business growth for start-ups. The Institute of Directors is a good source. The Federation of Small Businesses is also worth a look. Likewise, there are support networks (for a fee) such as The Academy for Chief Executives, Vistage and The Alternative Board that provide both mentoring and a quasi- board. These can be excellent as they provide input from people that experience the same issues. Networking can also be a good avenue. Not only does it get you out of your business and potentially provide a source of new business leads, but also it can provide a support infrastructure of like-minded individuals. Networking groups such as BNI provide formal structured referral based networking but there are others (including the IOD and FSB above) that have more ad hoc events. However you handle this, it’s important to build your external infrastructure. Without some form of support, you are at risk of imploding, especially when the chips are down. Perhaps this is obvious. However, most business failures don’t happen because of the inability to grow sales. Sadly, customers don’t always pay on time. Some don’t pay. Therefore, you need a good system. You need cash. And, you will probably need a bank facility for those times when cash is tight. Likewise, you need a robust invoicing and credit control process. If you can’t do this yourself (and that’s not a good idea long term anyhow), find yourself a good bookkeeper. Issue invoices on time and chase payment. Clients will respect you for it and you will run into fewer problems with cash. Make sure you have a monthly P&L so you know where you stand and that you’re achieving your sales AND profit objectives. Linked to the above, you need to think forward. Whether you’re planning to expand and need funds or you want to insulate yourself and your business, to some extent, from risk and the ups and downs, try to manage your funds so you have some slack. In business, things happen and, often when you least expect it and are therefore least prepared. If you’re VAT registered, that will sneak up on you if you don’t allocate money immediately. Likewise, corporation tax will be due quicker than you imagine. So, when things are progressing well, but even when things are more sluggish, keep things tight and plan for the unexpected. You can’t hit a target that you can’t see. Perhaps you don’t want to build an empire. If not, what do you want? What’s your goal? Have you defined your targets in terms of revenue and profit? What about your personal goals? Do you want to work until a ripe old age or is your objective ultimately to sell? The sooner you articulate your vision, the more likely you’ll be to achieve the results. Your employees will also be galvanised if they know where they’re headed. That goes for planning too. Even if the business is just you, it’s important to plan ahead. Ideally, that’s both for sales and profit and other objectives. It gives clarity and stops you being blown off course when unexpected situations come up. People are the lifeblood of every good organisation. So, where possible, find people that share your passion and vision. Recruit staff with energy and enthusiasm. Good people will free you up to develop the business further. Recruit staff that have the specific skills you need. Those could be technical skills and/or competencies. If you’re like me and are not good at completing and finishing tasks, you’ll need someone that loves to take a task to a conclusion. If that’s your bag, you might need someone that’s a good coordinator or manager or someone who’s creative. The key is to define what you need and what your team make-up needs to be. As mentioned above, there are highs and lows. Yet, a potential customer won’t know that you’ve just lost your biggest client unless you tell them. Or, unless your demeanour gives it away. No matter what, you need to remain positive. Good things happen to people that are upbeat. When was the last time you enjoyed spending hours at a party with someone that was boring and miserable? It’s the same with clients. You need to avoid looking desperate and must do your utmost to maintain a positive air of confidence. That goes for the interactions with your staff too. If your emotions go up and down like a yo-yo, you won’t retain your good people. At the start of your business, and often for some considerable time after, you may have no choice but to carry out all of the tasks from quotation to implementation, invoicing and more. As time goes on, you may be able to recruit. I mentioned competencies above. Belbin is also a good test to do as a team as it helps identify skills and team roles. If you are good at driving the business forward that’s great but what about dotting the I’s and crossing the T’s. Is that your strength? There are a number of roles every business and business owner needs to fulfil. Some play to their strengths and, frustratingly, some expose weaknesses. It’s important to evaluate what is core to the business and what you need to outsource. If the finances come naturally, maybe you can look after that side for now. If sales is your strength, that’s great but what about the administration? And, despite necessity, it’s hard to do everything. The reality is that you need to find a way to leverage time where possible to allow you to grow the business. 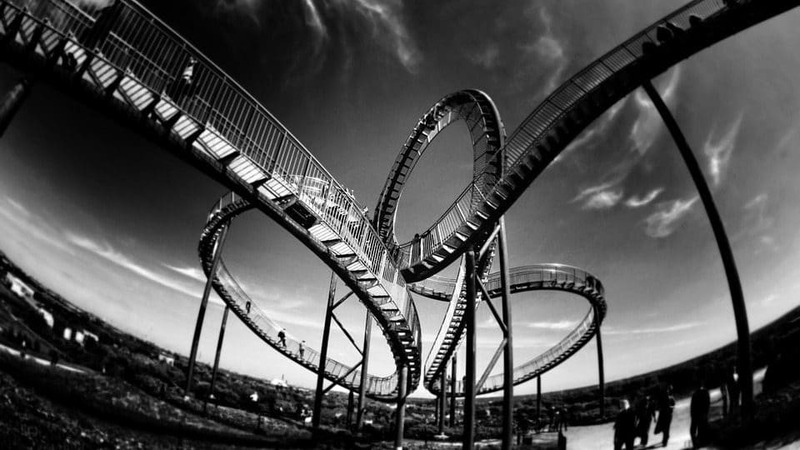 Running a small business can be like riding a roller coaster. Some people love the thrill and don’t worry about the lack of a parachute. Others prefer to have firm ground beneath their feet. If you’ve come from a corporate background, like I did, it was a shock to the system when I set up 16 years ago. My company car went back. My support team disappeared overnight and, most importantly, it took me a while to work out where my strengths were and where I really needed help. I knew how to manage and how to spend other people’s money but doing everything for my own venture was another thing entirely. Not everyone is cut out for the highs and lows of self-employment. That’s fine. Whether you’ve already started your business or you’re trading profitably several years in, it pays to understand some of the challenges you’ll face on your path to personal business success. Good luck!